Running is hard on your body. 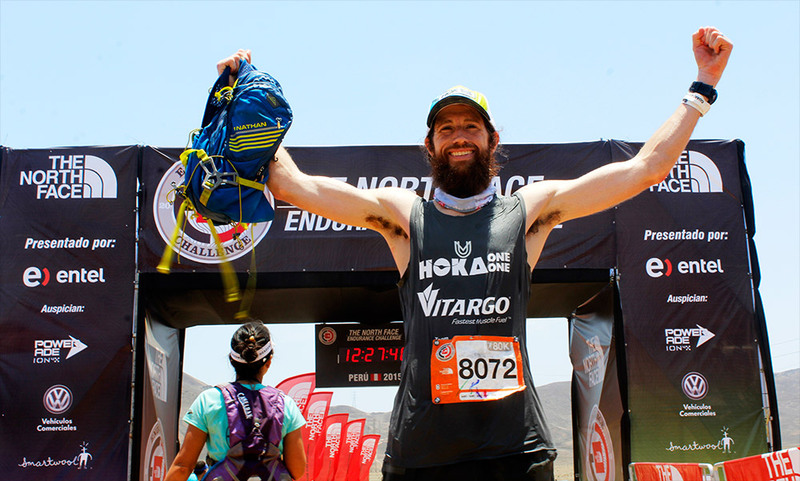 Follow pro runner Michael Wardian’s tips and you’ll bounce back quick from races or killer training days. You’ve just run a marathon – or an ultramarathon. Walking down stairs and getting into your car have become momentous tasks due to halting quads. Racing again next week is probably off the table, let alone running fast. That’s how it goes for most of us. But Michael “Iron Mike” Wardian is not most of us. Wardian, age 41, of Arlington, Va., earned his nickname by racing seemingly every weekend. 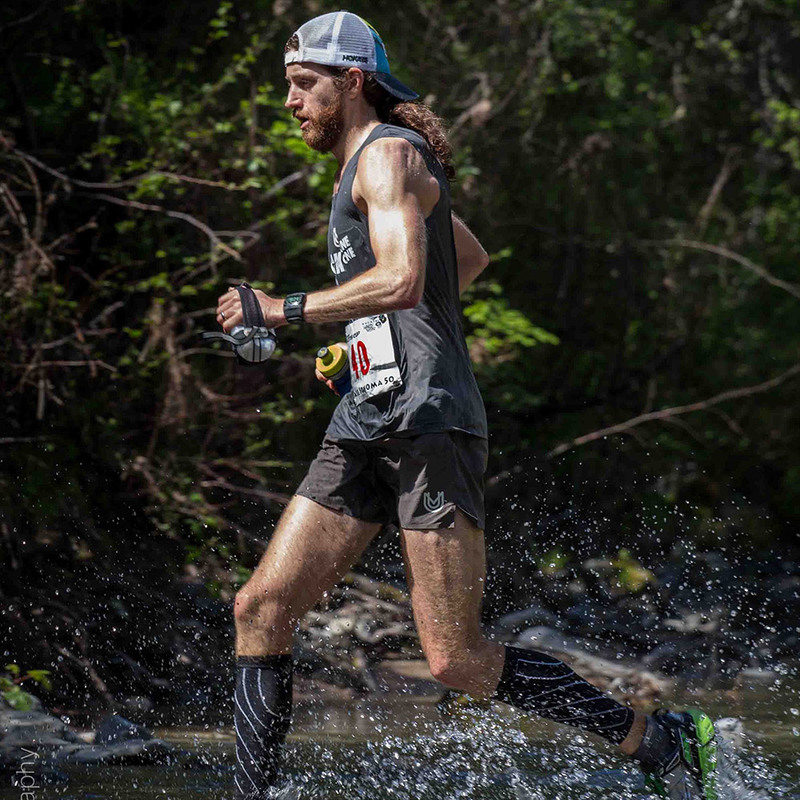 In 2015, so far, he’s raced seven marathons (his best was 2:23:32), placed eighth at the highly-competitive Lake Sonoma 50, and attempted the treadmill 50K world record three times, including two attempts within 30 hours of each other (he broke the record twice). 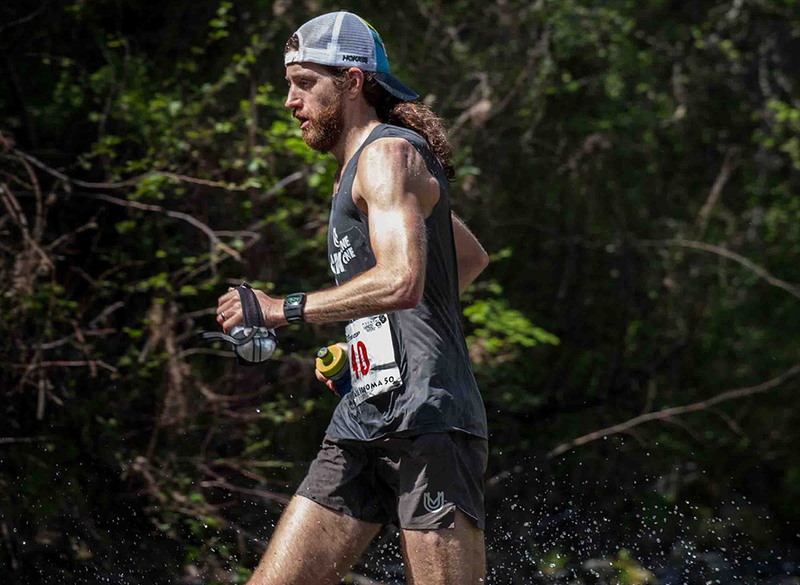 Whether you’re looking to compete more frequently, or just interested in bouncing back from your latest hard run a little quicker, we asked Wardian what he does between runs to speed recovery. 1) The Stick. I love this tool, which is simply called The Stick. It’s easy to use and helps to get kinks out fast and efficiently. It’s very important to me. 2) Vitargo. This long-chain carbohydrate is a terrific tool and helps me jump start recovery. The company claims the patented supplement helps build muscle, increase endurance, and boosts recovery. More info. 3) Compression. During the race I wear calf sleeves, which I think helps delay fatigue; I try to get into some compression if I can shortly after the race, which expedites blood flow and feels good. I recommend CompresSport compression gear. 5) Massage. If you have the luxury, a massage therapist is an incredible resource and tool. 6) Move. After the race, try to shake out or walk off the run. I feel like that keeps the blood flowing and helps with recovery. 7) Drink. Try to replace fluids lost during the event. You don’t have to drink a ton but I try to replace it with water or fresh squeezed fruit juice. 8) Eat. I try to eat as soon as I can [after a race] and mostly fruit – berries, like blueberries and blackberries, if I can – but if not any fruit will do. I also consume my Bearded Brothers Bars and almond butter from Big Spoon Roasters. I try to replace all the calories spent with healthy, tasty fuel, and nut butters are dense with calories and all the good stuff that helps me get back the energy I need to start training again and recover. 9) Stretch. Nothing crazy, and I do this a lot on planes and in the shower, but just touching your toes, leg lifts, quads, arms, back…it feels good. 10) Be mindful. After the race, I mentally review the run and accept the positives and use the negatives as fuel for the next event. That definitely helps with recovery. Remember your family, friends, running community, and sponsors. My support system is really well established and growing, and I think knowing that people care about what I am doing and take interest helps me recover. I hope it shows others they can do a bit more than they think they can. Finally, do the “kid test” to see if your recovery has worked. After a big effort, if I can play with my boys (Pierce, age 8, weighs 60 pounds, and Grant, age 6, is 45 pounds), pick them up, do push-ups with them on my back and stepping on me, and carry them into bed, I am good. If not, I am still recovering and need to be careful. –Connect with “Iron Mike” at mikewardian.com.